In a time where there are increased conversations about the need for more diversity in fashion, and how the current body rebel-ution is playing out, it’s awesome to know there are people who just “get it”. It’s certainly not lost on us that an industry like fashion which is primarily marketed toward women than men, is run by men at the very top of the big fashion houses and conglomerates. This has a knock-on effect where, like in the film industry which is overwhelmingly run by men, the aesthetic status quo is driven by the male gaze. Aside from needing an army of fashion industry women to speak out against the ridiculous standards placed upon females, we also need men taking a stand. 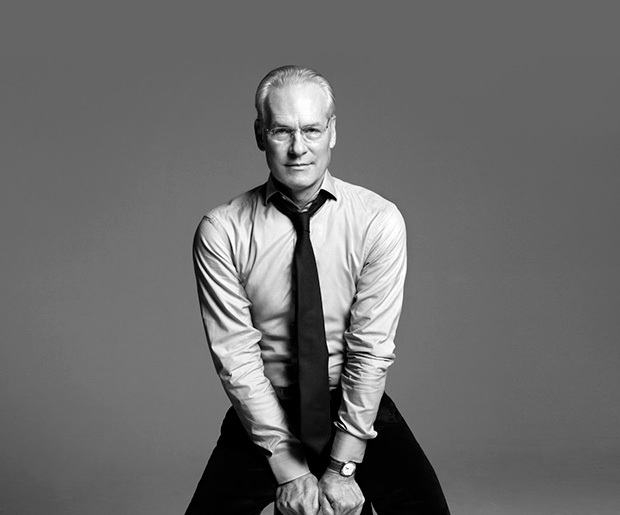 One man who we admire greatly in this realm is Tim Gunn. The ‘Project Runway’ personality whose fashion advice and prowess is known the world over has been a loud advocate for diversity in fashion, especially in the size department. And brands should be taking note, because what Tim is saying isn’t just a nice idea that will make people feel good, it is solid business advice. In a brilliant op-ed for the Washington Post, he says it is a “disgrace” how designers are not catering to the majority of American women. His post began by recalling his time as Chief Creative Office for Liz Claiborne Inc., where he would travel on the road hosting fashion shows educating audiences about how to look and feel their best with their clothing choices. Often he would hear comments from women who would complain that the clothing they see in catalogs or on models just weren’t realistic for their own body shape. “It was a question I’d heard over and over during the tour: Women who were larger than a size 12 always wanted to know, How can I look good, and why do designers ignore me?” he wrote. He looked at the current and most recent New York Fashion Week events saying the same thing is happening. “The majority of American women are unlikely to receive much attention, either…Sure, at New York Fashion Week in 2015, Marc Jacobs and Sophie Theallet each featured a plus-size model, and Ashley Graham debuted her plus-size lingerie line. But these moves were very much the exception, not the rule,” he pointed out. This is where he proceeds to lambast an industry that SHOULD be run by a business, but has failed to recognize the marketplace in favor of unrealistic ideals that serve only a small fraction of the population. “I love the American fashion industry, but it has a lot of problems, and one of them is the baffling way it has turned its back on plus-size women. It’s a puzzling conundrum. The average American woman now wears between a size 16 and a size 18, according to new research from Washington State University. There are 100 million plus-size women in America, and, for the past three years, they have increased their spending on clothes faster than their straight-size counterparts. There is money to be made here ($20.4 billion, up 17 percent from 2013). But many designers — dripping with disdain, lacking imagination or simply too cowardly to take a risk — still refuse to make clothes for them,” he wrote. We have no doubt this is the reason why up-and-coming, non-corporate-backed designers and brands such as Smart Glamour based out of New York are fast becoming a popular go-to destination for women whose bodies fit into the average size range in real life, but in the fashion world, they are considered “niche”. Tim isn’t under any illusion about the breakdown in the pipeline – it is the designers. “I’ve spoken to many designers and merchandisers about this. The overwhelming response is, “I’m not interested in her.” Why? “I don’t want her wearing my clothes.” Why? “She won’t look the way that I want her to look.” They say the plus-size woman is complicated, different and difficult, that no two size 16s are alike. Some haven’t bothered to hide their contempt. 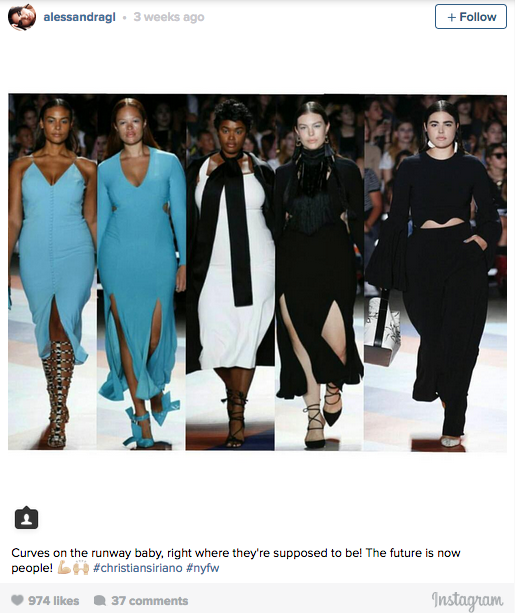 “No one wants to see curvy women” on the runway, Karl Lagerfeld, head designer of Chanel, said in 2009. Plenty of mass retailers are no more enlightened: Under the tenure of chief executive Mike Jeffries, Abercrombie & Fitch sold nothing larger than a size 10, with Jeffries explaining that “we go after the attractive, all-American kid.” he explained. It should also be noted that for the first time in its 70 year history, Christian Dior has appointed a woman as its creative director, Maria Grazia Chiuri. The New York Times writer Vanessa Friedman makes a great point why this is significant in fashion. “There is something bizarrely retrograde about the fact that a business based on catering to women never had a woman running it,” she writes. One male designer who also seems to understand plus size fashion along with Tim Gunn, is Christian Siriano who has become somewhat of a fashion hero of late after stepping forward and agreeing to dress actress and comedian Leslie Jones for the ‘Ghostbusters’ premiere. Leslie, like her ‘Ghostbusters’ co-star Melissa McCarthy, made a public statement on social media about how designers are reluctant to dress plus size women. 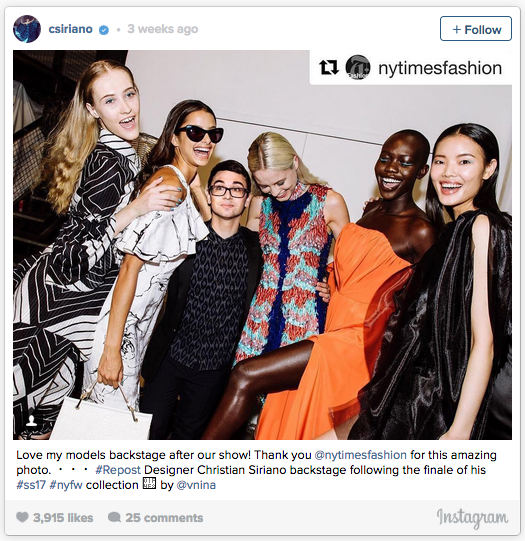 Christian Siriano tweeted her back and the rest is history. His stunning red ball gown, custom-designed for Leslie, was the kind of stuff fairytales are made of, yet *shock horror*, the wearer was not a size 0, how could this be????!!!! From his start in the industry Christian has said he has always been interested in stepping outside the norms and not following in the same footsteps as other designers. In an interview with Elle Magazine about his recent NYFW show, the ‘Project Runway’ judge says it is about making a conscious effort. “I think the trick is you have to really want to do it. You’re embracing more of the world. Which is great. We’re all in the world together, you know? And the models in the show who are “plus size,” they’re not in a special place, they’re not wearing differently styled outfits. They’re just beautiful girls who are in the show, like normal. Everything’s normal. That’s how it should be!” he said. One of the models in his diverse show, Swedish model Sabina Karlsson, wrote a touching statement under an Instagram image of her with a fellow runway model, explaining what it means to be included in the mainstream fashion conversation by a designer like Christian. “When I started of as a straight size model (US size 4) I thought that the only way to be beautiful was to be skinny. I was never naturally that size. I had to work out up to 3 times a day in order to maintain those measurements. It was a struggle. Yesterday I walked for Christian Siriano @csiriano in a gorgeous body conscious dress and I loved it!! I wish that someone would’ve told 17 year old Sabina that one day you’ll appreciate the body you’re suppose to have. Not once yesterday did it cross my mind that I wasn’t beautiful – I was proud. This is a milestone for me,” she said. 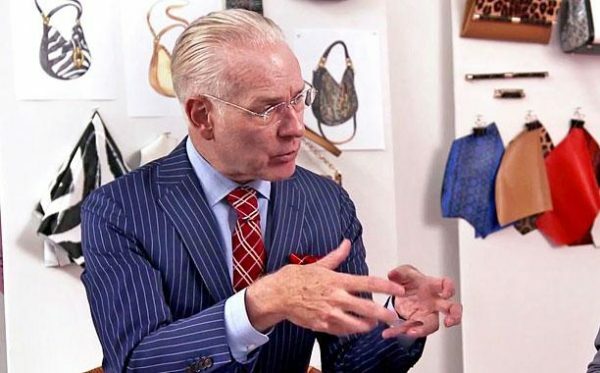 In his op-ed, Tim Gunn talks about the flip-side of excluding plus size women and why there needs to be an attitude change among designers and brands. “Have you shopped retail for size 14-plus clothing? Based on my experience shopping with plus-size women, it’s a horribly insulting and demoralizing experience,” he says, adding that the efforts to go in a more progressive direction are not good enough either. “A nod toward inclusiveness is not enough…This problem is difficult to change. The industry, from the runway to magazines to advertising, likes subscribing to the mythology it has created of glamour and thinness. Look at Vogue’s “shape issue,” which is ostensibly a celebration of different body types but does no more than nod to anyone above a size 12. For decades, designers have trotted models with bodies completely unattainable for most women down the runway,” he said. 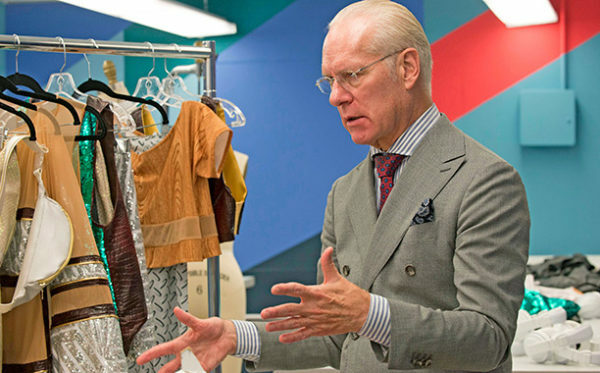 On ‘Project Runway’, although he has been a champion of the plus size conversation, he expressed how appalled he was at the way the show has portrayed this market. “This season, something different happened: Ashley Nell Tipton won the contest with the show’s first plus-size collection. But even this achievement managed to come off as condescending…Her victory reeked of tokenism. One judge told me that she was “voting for the symbol” and that these were clothes for a “certain population.” I said they should be clothes all women want to wear,” he recalled. Tim also wrote about how much he hates the show’s “Real Woman Challenge”, even the title itself. “The designers audibly groan, though I’m not sure why; in the real world, they won’t be dressing a seven-foot-tall glamazon,” he said. A survey conducted by Modcloth found that 74% of plus-size women found shopping “frustrating”, and 65% said they felt excluded. It’s no wonder bloggers like Tess Holliday, Gabbi Gregg and many others have become outspoken personalities because designers and brands still haven’t woken up to reality. “Despite the huge financial potential of this market, many designers don’t want to address it. It’s not in their vocabulary. Today’s designers operate within paradigms that were established decades ago, including anachronistic sizing. (Consider the fashion show: It hasn’t changed in more than a century.) But this is now the shape of women in this nation, and designers need to wrap their minds around it. I profoundly believe that women of every size can look good. But they must be given choices…Designers, make it work,” concludes Tim in his op-ed. We know that fashion is drive by aesthetic, ideal and money, but when it comes to staying in business, they ignore the majority of American female customers at their own financial peril.